From multiple New York Times best seller David Weber and #1 New York Times best seller Timothy Zahn. 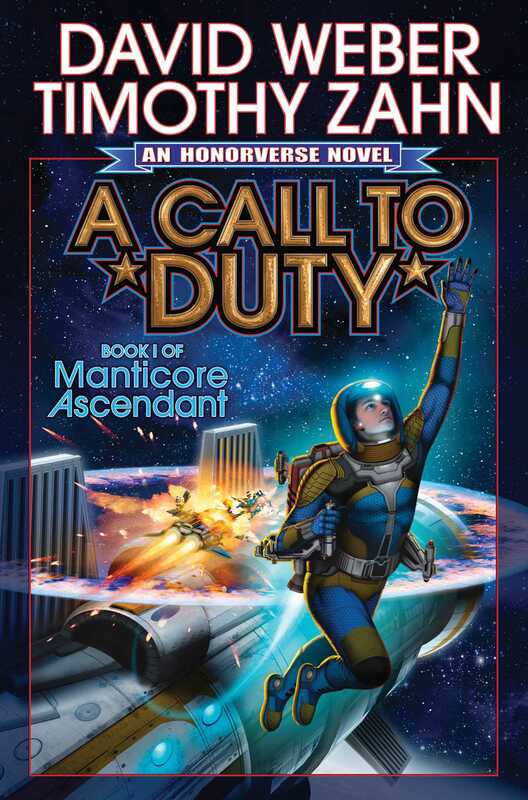 Book #1 in Manticore Ascendant, a new series set in David Weber's best-selling Honorverse series. 29 total New York Times bestsellers. This year we celebrate the 25th anniversary of Honor Harrington. Growing up Travis Uriah Long yearned for order and discipline in his life—the two things his neglectful mother couldn’t or wouldn’t provide. So when Travis enlisted in the Royal Manticoran Navy, he thought he’d finally found the structure he’d always wanted so desperately. But life in the RMN isn’t exactly what he expected. Boot camp is rough and frustrating; his first ship assignment lax and disorderly; and with the Star Kingdom of Manticore still recovering from a devastating plague, the Navy is on the edge of budgetary extinction. But those factions are mistaken. Events are in motion that will prove that the universe is not a safe place. Manticore may not be as isolated as everyone thinks, and Travis Long is about to find that out.